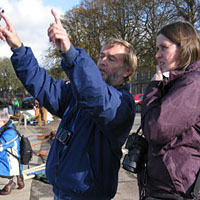 These photography courses in Shropshire will reveal the secrets of professional photo-technique. 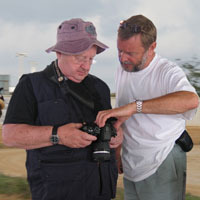 Your tutor, former Sunday Times photographer Philip Dunn, has over 40 years experience working for top newspapers and magazines. Most of all, these courses and workshops are for all levels of photography enthusiasts keen to improve their camera craft. If you want to move your picture-taking skills to the next level – these photography courses and workshops are for you. These photography courses in Shropshire will reveal the secrets of professional photo-technique. Your tutor. 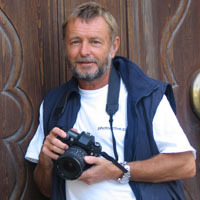 former Sunday Times photographer Philip Dunn, has over 40 years experience working for top newspapers and magazines. Most of all, these courses and workshops are for all levels of photography enthusiasts keen to improve their camera craft. If you want to move your picture-taking skills to the next level – these photography courses and workshops are for you. With a professional photographic tutor at your side, you are sure to learn more about photography in one day than you ever thought possible. That’s because you will be learning from a real pro’s hard-won experience. As a result, you’ll find out how to capture truly great images – simply and effectively. From his 15 years as a staffman with the Daily Express, to his long association with The Sunday Times, leading to freelancing for top newspapers and magazines, Philip has covered major news assignments and magazine features all over the world. Therefore, he is able to pass on a wealth of truly invaluable and practical photo technique and knowledge. He is especially able to show you how to see and take photographs with dramatic impact and strong visual appeal. So, when you are working alongside him, you will learn how to convert your visual ideas into truly outstanding pictures. Therefore, when you come on one of Philip Dunn’s photography courses in Shropshire you’ll discover simple solutions to many complex technical questions about camera technique and composition. Finally, you will gain a whole new understanding of light – its direction, quality and colour. All this is done in an easy, relaxed and masterly way with an expert who has made his living from his camera for a very long time. So who knows? You may even be able to sell your pictures and go freelance – several of Philip’s students have done exactly that.